It’s Khamenei’s pronouncement that is worrisome. As the country’s supreme leader, he can stop or eventually kill any compromise worked out by Zarif. Realities on the ground in Iran support Khamenei’s pessimism. All politics are local, it's been said, and Iran is no exception, facing two crucial elections within a year or so. The elections for the Assembly of Experts are due in mid-2015, and the election for Majlis, the Iranian parliament, in the spring of 2016. If a comprehensive deal is struck, and the sanctions are lifted, the resulting boom in the Iranian economy will assure the capture of both houses by Rouhani and his supporters. A nightmarish scenario for the ruling hard right! They have already lost the executive, and losing the Assembly of Expert and the Majlis would throw them into the political abyss for a decade or more. They will push for a win-lose, and not a win-win, outcome in the nuclear talks, with Iran on the winning side. Their second best hope, if they don’t succeed and they don't expect to, is no deal at all. The IRGC is also fearful of losing their control of over 80% of the Iranian economy if sanctions are lifted and the private enterprise can compete with them. IRGC’s abilities to control the ports for import of illegal goods and using illegal money transfer networks to pay for business transactions will lose their effects if Iran fully re-enters the global marketplace. So a word of caution: Khamenei accepted the 24 November interim Geneva agreement, but has been under tremendous pressure from the right to stop the final comprehensive agreement. We might look at a protracted negotiations bugged down on Arak, new enrichment centrifuges and other similar issues. But a word of hope: the Iranian public by far wants to see the lifting of all sanctions, than can only achieved through a nuclear deal. That pressure might force the hard right to back off and let a deal to go through. -There have been a number of opportunities in the past where SL Branch of IRIG has acquiesced to executive branch efforts towards better relations with the United States, under the administrations of Rasfanjani and Khatami. Unfortunately, these efforts were rebuked by the American side, as is well documented in "Going to Tehran" by the Leveretts. It is this history of failure, or wasted effort, which has Khamenei expecting the worst. 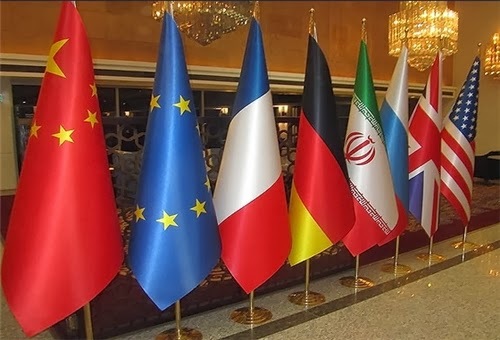 -There are supporters of nuclear negotiations in the current Iranian parliament. There are also detractors. If one were to put a percentage on such as a means of comparison with supporters/detractors in our own U.S. Congress, the two might be evenly matched, with both representative branches' majorities against a comprehensive agreement. -It should be assumed the IRGC defense budget has taken a hit from the shrunken national treasury, as a result of sanctions. Thus it should be reckoned that there are those in the IRGC, such as perhaps the current DefMin, that see the easing of sanctions as a means of modernizing and better equipping Iran's military. The SL Branch of IRIG, Parliament and the IRGC are expecting the same kind of treatment meted out to the numerous nuclear compromise offers Iran has put forward in the past. They've been very vocal of the fact that they see the nuclear dispute as manufactured, with the real goal of the dispute being regime change. In fact, the speech before last, Khamenei repeated this perception. As far as the IRGC is concerned, they have long ago stopped being just a military and security force, and now control 80 percent of the country’s economy. They were a major player in the economy, but the tougher sanctions of recent years made them such dominant force, pushing out the private enterprise to the brink of non-existence. By controlling their own ports and illicit foreign exchange payment systems, such as just two examples we saw in Babak Zanjani and Reza Zarab cases, the IRGC has replaced all of Iran’s private businesses and has amassed such control over the economy. Organizations and political factions make decision based partly on their own expediencies that they see aligned with the country’s national interests. The factors mentioned here are much more important to the IRGC and the right, than their analysis of past mistakes by the United States and Europe. I am not portraying them as inherently weak, nor do I argue that the Iranian politics is inherently weak. In fact I am arguing that the country’s political scene is as robust as it can get. People voted overwhelmingly last year to elect a moderate president, and he is following that mandate and challenging the right to eventually establish a rapprochement with the West, as promised during the campaign. The first step to such rapprochement is resolving the nuclear issue, which the new government is focused to do so. If the government is successful in negotiations with the West, however, it will register as impressive victories in the legislature elections as well. The right has its own political and economic reasons on top of its ideological tendencies to slow or stop the recent warming up of relations with the West. In the next year or so, we will witness a vigorous political campaign waged by both camps to either maintain (the right) or win (the moderates) the control of the country’s political and economic institutions. is there hope that you will take a peep on the other side of the coin as far as the IRGC and its activities is concerned?-it needs guts to swallow the truth that the IRGC has has been very instrumental to neutralize the fangs of sanctions and hold the country safe from slipping into a North Korea!. It's always healthy not to accept the official propaganda of any country, Iran included, and try to offer independent analysis. IRGC has been effective in skirting sanctions. But it did not have to favor its own companies, it could have as easily provide its capabilities to private enterprise. When they beat the sanctions, and in the process control 80% of the economy, then there is a problem. IRGC should get out of business activities and concentrate on its own mandate of providing military and security forces in defense of the country. Getting involved in business as well will corrupt the organization and damages its war fighting capabilities. I totally agree with your perspective on Iranian politics being a rock solid barometer to both their ongoing and upcoming calculus and subsequent posture towards the establishment of a negotiated peace deal and more importantly, its final terms vis a vis Iran, hence more or less directly, the persistence of their hold on power both politically and economically. But don't you think the IRGC has over the years integrated itself so well and decisively within the industrial and economic fabric of the country and its niches of power, that losing a mere majority at institutional level would be seen at worst as a minor, manageable setback that they can recover from after a few years of corporate networking ? 1. Either surrender completely to all of the West's demands. 2. Have its economy crushed, and the regime's lies of self sufficiency exposed. Lifting all sanctions, as apparently envisioned by the Zionists, is only possible after dismantling of the Islamic Republic's system, where the Ukrainian "experience" may be pursued. The US rejects possibility of talks on that matter........, because it would legitimize the regime, notwithstanding that several decades ago they had legitimized the Communist China. -NADER- This is how you are WRONG on the IRGC -! -"The sanctions have not battered all sectors of the Iranian economy, certainly not the IRGC. By controlling ports and foreign exchange payment systems, the IRGC has indeed prospered under the sanctions regime. Today 80 percent of the country’s economy is indeed controlled by the organization. And the private sector is practically driven into bankruptcy as a result of those sanctions. BTW, IRGC also controls Kish Island and its main business activities. Today, by far the biggest “non-governmental” business enterprises are directly IRGC-controlled or in some cases, like Babak Zanjani enterprises, IRGC front companies. " "It's always healthy not to accept the official propaganda of any country, Iran included, and try to offer independent analysis. IRGC has been effective in skirting sanctions. But it did not have to favor its own companies, it could have as easily provide its capabilities to private enterprise. When they beat the sanctions, and in the process control 80% of the economy, then there is a problem. IRGC should get out of business activities and concentrate on its own mandate of providing military and security forces in defense of the country. Getting involved in business as well will corrupt the organization and damages its war fighting capabilities." The NATION owes its social ,economic,and political stability to the IRGC.This might be a steep mountain for SOME to climb ,but God wiling we shall in the future offer a factual score chart on this Organization and its noble activities which convinces the rational mind . -NOW these private companies you are talking about are the ones which played some role in ruining the economy!. And the reason BEING that many of these were owned by foreigners and were literally helping the cause of sanctions.A good example is that Chinese firm given some work on the south pars[whose story is here on this blog],these Chinese kept on dragging their feet on the project ,till the Minister decided to revoke the license and award the work to a local consortium !. [ WITH SUCH private companies and the economy at the mercy of these companies, the country Goes the North Korean way]-IT IS such benevolent interventions by the IRGC that has shocked the west and helped the Nation move forward to this juncture. CONTROLLING 80% of the economy is a noble ruling from the guardian council that wished to have the economy in the hands of IRANIANS and out of foreigners. And your suggestion that the IRGC should get out of Business activities is the some total of your lack of appreciation on the organization!.-THE sanctions were meant to cripple the economy,make life tough hard for the citizen, or tout the masses to pour in the streets in violent scenes .When the IRGC comes on handy with their own innovative ways to face the enemy[sanctions]-the West have no kind words for this organization AND QUICKLY labels it as a bunch of thieves!. as the dust settles,and the economic siege crumbling , it is only a matter of years for the IRI to be the new DUBAI but this time the economy firmly in the hands of IRANIANS!. "The SL Branch of IRIG, Parliament and the IRGC are expecting the same kind of treatment meted out to the numerous nuclear compromise offers Iran has put forward in the past. They've been very vocal of the fact that they see the nuclear dispute as manufactured, with the real goal of the dispute being regime change. In fact, the speech before last, Khamenei repeated this perception." "But a word of hope: the Iranian public by far wants to see the lifting of all sanctions, than can only achieved through a nuclear deal"
It is unbelievable that in the 21st century someone would argue that a country's main military and security force should control 80% of its economy! With friends like you, the Islamic Republic does not need any enemies. Sooner the IRGC get out of business and concentrate on its main mission of defending the homeland, better off they get, and better off the country gets. Also, after 35 years of the rule by Islamic Republic, are you saying the companies and industries which were created in the Islamic Republic are not capable of running the economy and the authorities should give absolute control of the country's economy to the military? Is Iran a banana republic in your estimation? happy to see you back sir !! -HOPING TO LEARN MORE AND BENEFIT from your well worded and informative answers.